Kids Math Teacher: Author visits at school--does anyone have them? Author visits at school--does anyone have them? It has been a busy week calling and connecting with local school districts and principals near me so I can come do an author visit to the classrooms, read my book, and do a little hands-on math activity with it. The only trouble I have is... not many are getting back to me. Do you have author visits at your school? When I call the schools it seems that many of them have not and some are not interested. I am thinking I will need to go to the schools so they can see how educational and what a great resource it could be for the kids. Here's a little video I did so people can see what the hardcover book looks like. 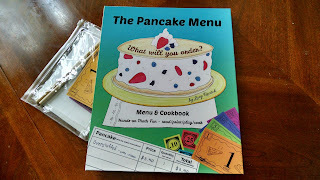 I have a wonderful, new book called The Pancake Menu which gives children the opportunity to practice math skills as they play restaurant, at home or in the classroom. They complete sales and make change using play Menu Money and it aligns well with many Common Core Standards. Being a fellow educator (BS Degree in El Ed 2000 from BYU) I would love to come into your school and do a few 20-25 minute presentations/activities in your 3rd and 4th grade classrooms. It can be extended to 2nd and 5th as well, but 3rd and 4th is the target. About a week before my visit I would like to send out an order form if the parents of the students would like to purchase an autographed copy for their student, and on the day of the presentation I would give the purchased books to the teachers for the children to take home. During the presentation I would loan books for the kids to use for the activity. I would be happy to come meet with you to further discuss this and show you the book and play money. 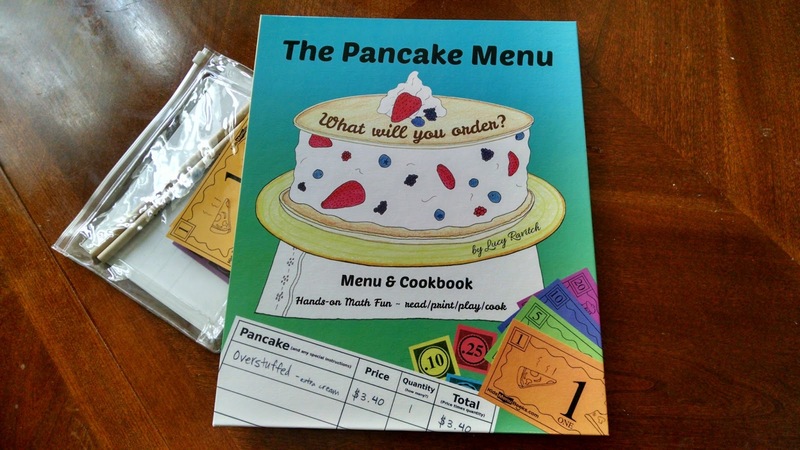 There are a handful of reviews on Amazon and the book website is www.kidsmenubooks.com. I would also be happy to offer your school 10% back of all sales to your PTA. Thank you for your time and I look forward to speaking with you! So far, I haven't heard back from them, but it may be that school is still getting back into the swing of things or that my email got mixed up with the mass of other junk emails principals receive. If any school wants a visit, I also do virtual visits where we can do a video conference call on Google Hangouts or Skype. In other news, I finally signed onto Goodreads.com! I will be running a giveaway starting next Thursday that will run for one month. Ten lucky winners can get a hardcover book! I'll post about it once it is live. Take care! I'd love to hear if your school has ever had an author visit. Thanks! Lucy, I suggest contacting the school librarians or the PTO / PTA. In my experience, it has been those people who bring authors into the school.